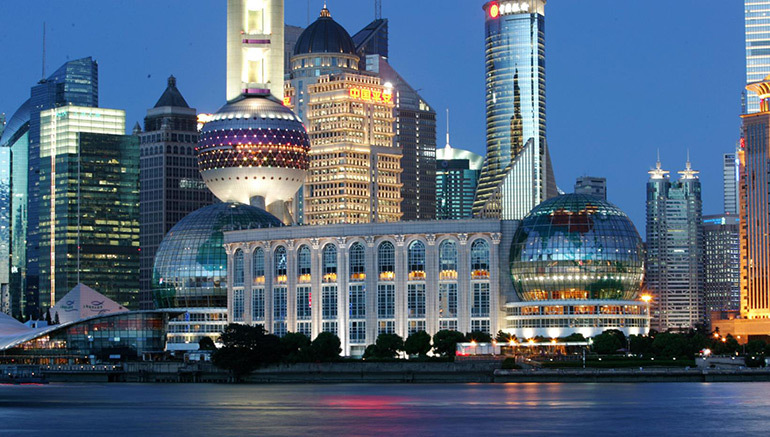 Shanghai International Convention Center is located in the heart of Lujiazui –Shanghai’s Financial and Trade zone, adjacent to the Oriental Pearl TV Tower and facing the multinational styles of architecture along the Bund across the Huangpu River. It enjoys superior geographical position, easily accessible from all parts of the city with modern transportations. The center was completed and officially opened for business in August 1999, covering a construction area of110,000 m2. As the new landmark of Shanghai, the center was appraised as one of the 10 classic buildings over the 50 years since the founding of the P.R. China.